Dorothy has had a great start to 2017…………. This week was the Dublin Crystal – sponsored by Paul Culligan. 58 golfers started off in very cold weather, but by the time we were in the bar, jumpers and jackets were off! For full results and handicaps go to masterscoreboard tab (under LINKS) on this page. Dorothy on the stage again! Andrew was the 2nd division winner……. 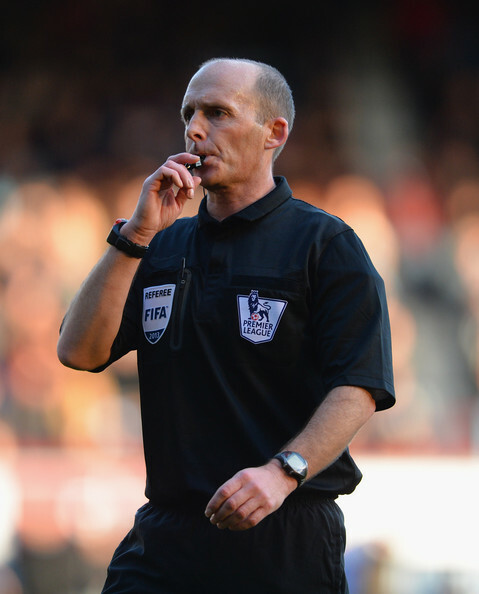 This week we had a celebrity playing with us – Mike Dean is a referee in the football premier league, who has taken charge of all the major competitions – FA cup final, League Cup final, Community Shield plus international fixtures. He owns on Condado and is a very good golfer off 4.9 handicap. We would like to see him play with us more often (when football is over!). Four birthday boys this week – Sandy Simpson, Phil Cooke, Dave Lloyd and Neil Simpson. Maybe they should all share Phil’s 60th birthday cake! well, you made it Phil! 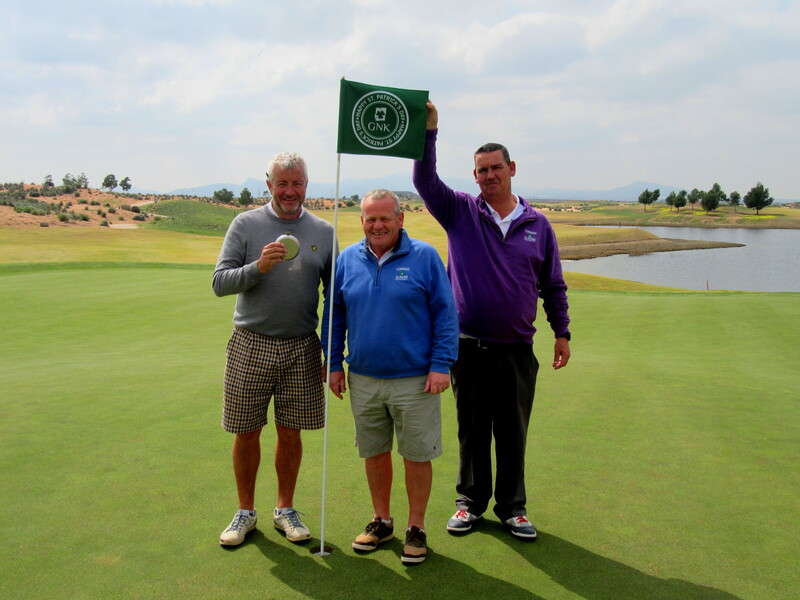 One of our members, Paul Coopey, has been in a Spanish hospital for some time with serious health issues, so we wish him a speedy recovery and hope to see him back on the course later in the year. Thinking of you Paul. Next week is a 4 person team event, and remember that you can book your team online! Remember membership needs to be renewed from April 1st. The first said she had a good round with 22 riders. The second said she did OK with 16 riders. The third said not too bad since she had 10 riders. The fourth was disappointed and said that she played badly with only two riders. 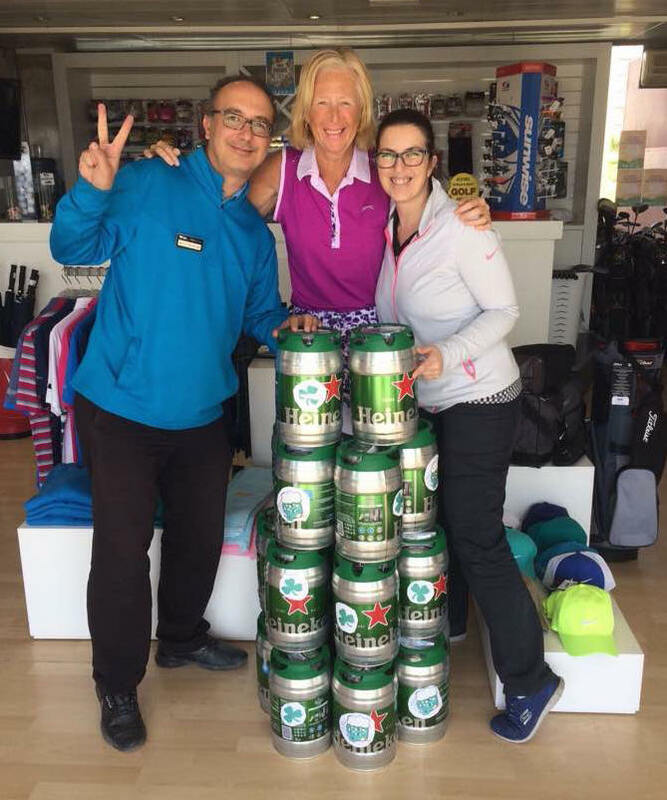 Although we thought Alicia had a great chance to win the 100 litres of Heineken on offer last Friday, we had to wait for the cards to be scrutinized at Mar Menor before the winners could be announced. Thanks to GNK and Heineken for their support, and well done Alicia, I am sure your friends will benefit! Online booking has now gone live, and I have already had confirmation from Norway that the system works! Go to Links on this page, then select masterscoreboard. 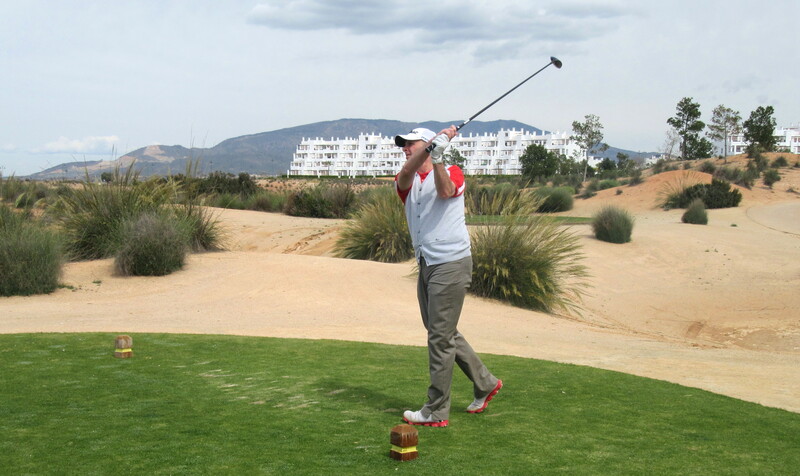 You need to type in condado, club, select Condado de Alhama golf society and then you will be asked to select your name from a drop down list. if you have not already done this before the password is highhandicap97. Future competitions (where you can book).Bookings are prioritised by first ones received (date & time). You can only book your own name unless it is a team event. Thanks to Dave Lloyd, Ken Saunders and Neil Simpson who have spent many hours experimenting with the system, which is a very valuable tool for all the members. I doubt if there are many societies in Spain so professional in their organisation. No need now for me to take a picture of the start sheet each week, or even add exact handicaps to the winners in results. It is all there. This week was especially for the Irish, with Paddy’s day falling on a Friday. Another full sheet, with 66 golfers (2 no shows) – it was cold, but a good job it wasn’t earlier in the week when we experienced proper Irish weather. Very important – if you want to access all the features of masterscoreboard.co.uk you will need your own password which you set yourself. Access is masterscoreboard.co.uk then highhandicap97 . Then change it to your own password, full details can be found in the previous post, or click on the link under ‘Pages’. Please note you must be a member to access the service. Renewals are due from April 1st, so pay early or get a friend to do it. Full results can be viewed under the results tab. Usually someone gets a flyer, making it difficult for low handicappers to win – but 37 points should have been achievable? Maybe the tall hats and the ginger beards were a factor? no wonder the Irish couldn’t win! 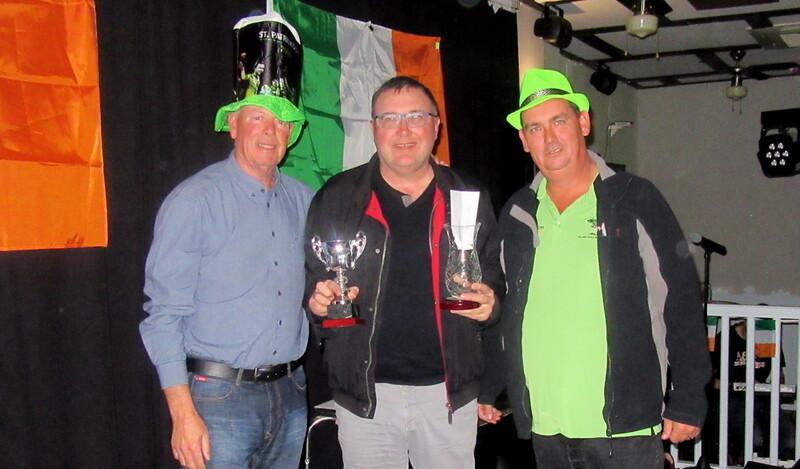 The prizes were shared by several countries – unfortunately there wasn’t an Irish winner! 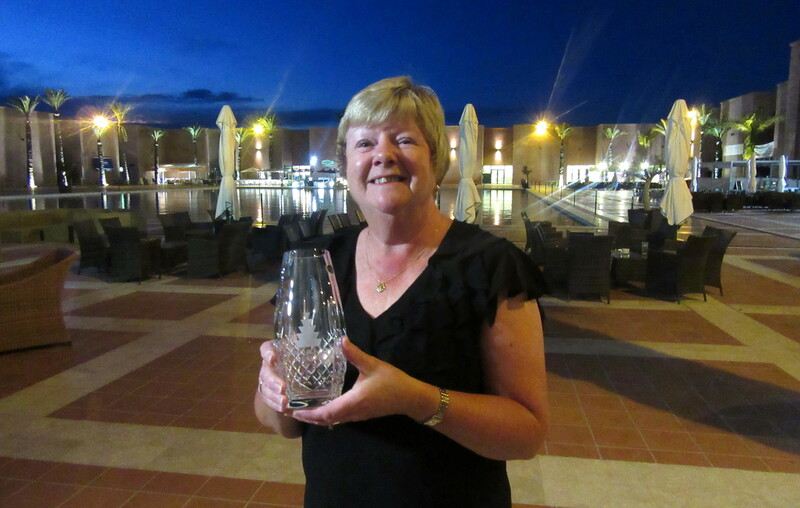 the trophy goes to Norway, Kare Saeter……. and a prize for Wales, Colin Lloyd……………….. 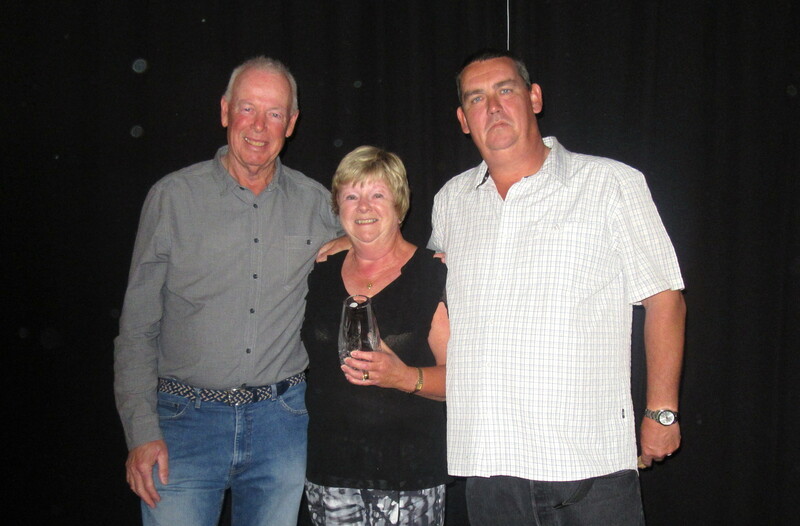 The 2nd division winner wasn’t present, but from England it was Dave Crossland………………..
Dave Storey won the par 5’s…………. We had a committee meeting the night before the competition, and I suggested that we held a 5’s and 3’s comp for the men as well as the ladies, instead of nearest the pin on 17 and nearest in 2 on 8. Sod’s law again that my fairway bunker shot on 8 ran up the bank and back to within 2 feet of the pin!. 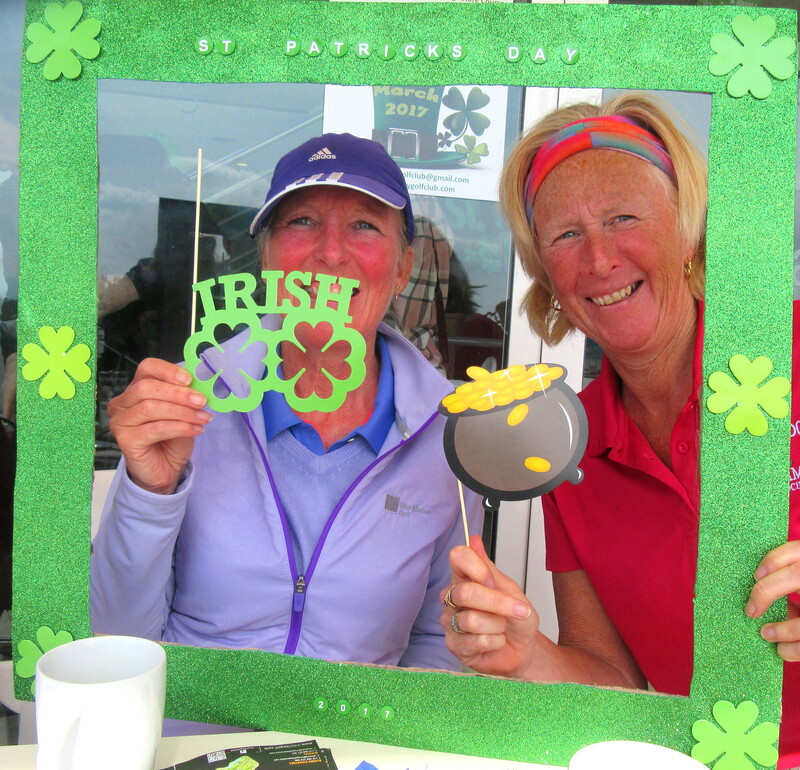 a special flag for the 18th, St Paddy’s rings at the bottom of every cup, and our own leprechaun……………..
GNK made a special effort both on the course and in the shop – you couldn’t mistake that it was St Patrick’s day! They also were giving away 100 litres of Heinekin for the best score of the day – keep an eye out for the winner! Not necessarily the winner of our competition as handicaps could be from your home club, the spanish federation or our society. our friendly staff – Alvaro, Ana, Antonio…….. 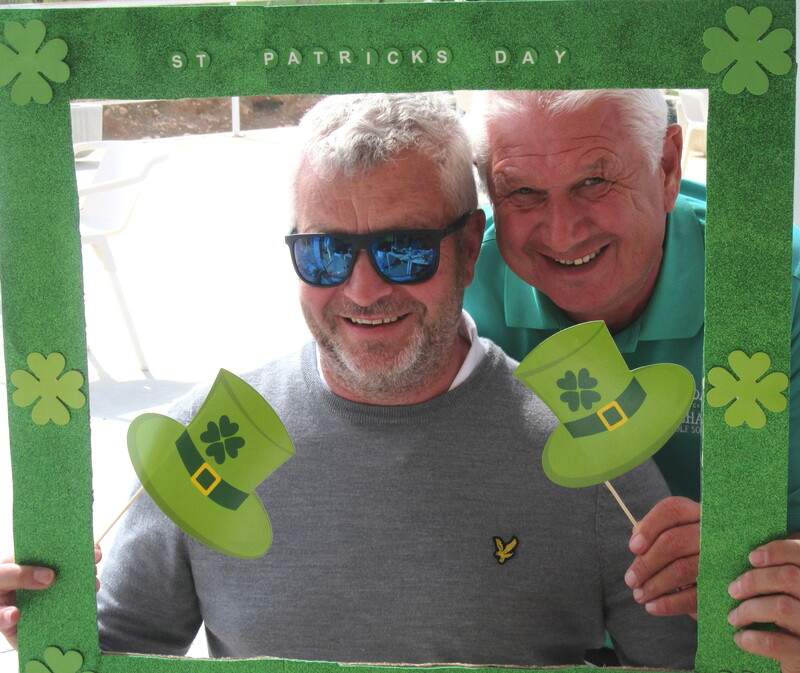 Thanks to Denise and Byron at Diversity golf club, who made a special effort with a photographer circulating and getting lots of Paddy shots! At night, there were parties in the Clover and the golf club with live music! 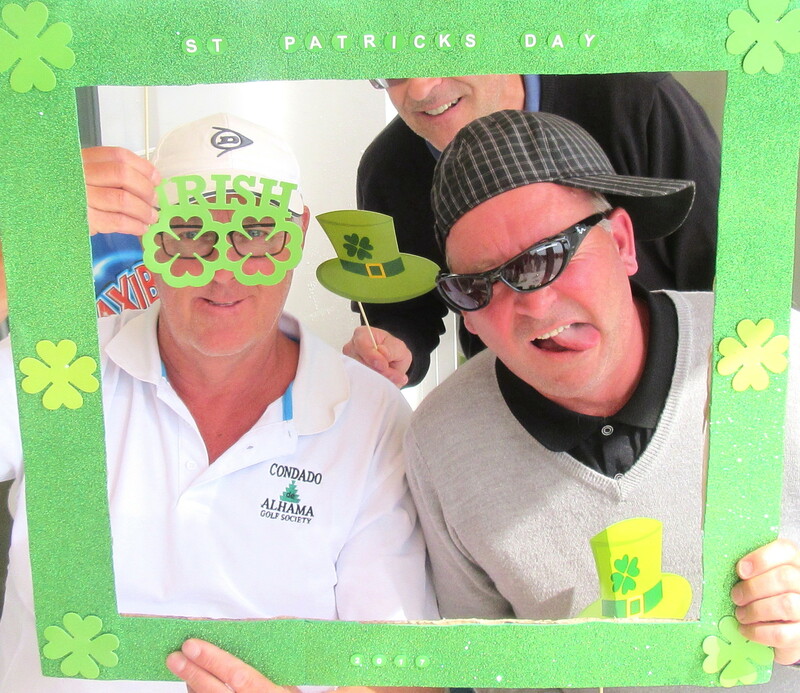 Here Denise sets the tone at the golf club……………..
And the party-goers got into the spirit of things at the Clover as well! Brian was at the Clover and is always up for a party! On Monday we have a couple of teams in the Camposol Celebrity Am competition – we have won it for the past 2 years, so will try to defend our title. Next week is the Dublin Crystal sponsored by Paul Culligan. We are almost ready to go live with online booking, and every member will have to access the above website with their own password. On subsequent visits use the password you have chosen. You can still access information on the buttons under links. Select future competitions for start sheet. Apologies if this seems like gloating to any readers back in the UK, but on Friday Murcia City recorded the warmest March temperature for the last 32 years. A 4 person team event this week with the best 3 stableford scores to count on each hole. Again a full sheet with 15 teams (59 players) – sadly one person did not turn up again, spoiling the competition for his team. Lots of good scores on the hottest day we’ve had this year. Nice to get a photo supplied by our Bolneuvo friends (who finished second)………………. Peter Reeves, Peter Mitchell. Jeff Ruellan (an interloper from the port!) and Pat Hughes. is Alicia waiting for the green to clear on hole 8? Another Viking Cup call – last year’s entrants will have first chance to be included again if they contact the team captains before March 31st. After that, others will be eligible for inclusion (first 40). Thursday was a record day for the blog – 768 views, on a day that was only for the start sheet? And weekly views are at record levels since the Thursday postings of start times, and the introduction of the new system. To access all info go to masterscoreboard.co.uk or use the buttons under Links. To see the latest start sheet make sure you click ‘future competitions’. Next week is the March Apollo Air individual stableford. The start sheet has been full every week lately, so you need to enter your name ASAP. I have updated the Pages link at the bottom of the index list – changes to the About section, and Members has been deleted (now under results or members link). 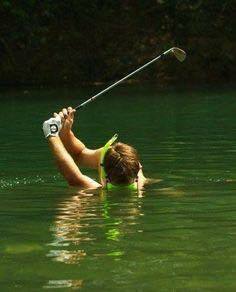 Casual water – some players simply refuse to take a penalty drop! At the AGM there were 33 attendees, and it was a surprise to most when Neil kept his captain’s review to 15 minutes before he introduced his successor as captain, Ken Saunders. Then in turn, Ken announced that Phil Cooke would be his vice captain for 2017-18. Alicia Saunders (treasurer) presented the balance sheet which showed that the additional revenue produced during the year had been used for the benefit of members. More has been spent on additional prizes, a replacement printer, computer for entry of scores, and the new management system from Handicap Master (to name but a few). After everything had been accounted for we were left with a similar reserve fund to last year. Each position available on the committee was filled without a vote as no other candidates were nominated apart from those on the application sheet. This year Dave Lloyd did not apply, so we offered him our thanks for his contribution from day one. He has been central to the progress that the society has made, notable contributions have been the organisation of the first ever meeting to form the society back in 2010, his time as competitions secretary and also fulfilled the role of vice-captain, captain and president. He has introduced society fixture diaries, planned away days, and implemented our excellent golf management system (handicapmaster). There was just one motion discussed – Ian Lawson proposed that a local rule be introduced to allow relief from sprinkler heads around the greens when they are on line of a putt. However, this motion was defeated on a show of hands. A request was made for local rules to be posted on the website and put in the clubhouse. These would include each member marking a single card for each competition and ALL cards must be signed by the marker and player on completion of their round. This request was agreed and once formulated will be posted as above.. It was agreed that an amendment be made to the constitution to read: The committee may co-opt any member to a committee position. A request was made for earlier tee times than 8.30am. It was explained that all tee times have been prebooked for the forthcoming year and that tee times do change at different times of year. The forthcoming GNK St Patricks event was announced. Members advised that this event was not a CDAGS competition. A request was made for better use of the sound system in Clover on presentation evenings. This was agreed. Could GNK look at the stroke indexes on the course. We now have computer evidence as to the difficulty of holes. It was agreed that the committee would approach GNK to discuss and report the findings to members. Also a discussion took place about members using any tee box for competitions – without conclusion. George Lintner thanked the committee for their work during the year. There was a request for competitions restricting maximum handicaps. The general feeling was that this was unnecessary – entries would fall if many of the members felt unable to compete. No Shows. This was discussed and the members were advised that the committee were currently looking into this. It was requested that members should show respect for course and follow course etiquette i.e. repairing pitchmarks etc. It was agreed that this would be posted on blog to remind all members. Regarding the money remaining in the accounts it was asked if this could be used for better prizes. It was advised that we have already increased money for prizes and that the remaining money in the accounts was a reserve fund. The floor was unanimous in support of maintaining the current balance of the reserve. So from that, can all members be aware that it is their responsibility to repair pitch marks (their own plus maybe one other) and keep buggies to designated areas (out of the rough and away from sandy areas). This will help maintain our course in the best possible condition. Graham White on the range – Eamon Barry wonders where the ball went………….. This week was the March Apollo Air individual stableford. Last year in the same week we had 44 players, this year 63, and the start sheet was full by last Sunday! Fortunately we were able to move some players forward into slots saved for course members to create times for others. (Please note that we are now back to summer start times, now from 09.06). Rob was the clear winner…………………. Dave Lloyd in the prizes…………again! The competition was delayed by 75 minutes while we waited for the thick fog to clear. All winter the start times had been put back to 10 a.m. to avoid possible delays through frost, but it was sod’s law that the first week that we reverted to a 9 a.m. start we couldn’t get out there until after 10! and looking towards the first tee…………………. Once we were off, a slight breeze got up and the mist lifted. The sun came out and the winter gear was cast off, only for it to turn decidedly chilly on the back nine. Tony Andrews and Tommy Toner watch Jim Alwell play from the centre of the 4th fairway…………..
Jan Erik Olsen starts his back nine watched by Hans Bergstrom, Jan and Lis Jakobsen……….. Results for Monday, Wednesday and Friday are now available on a tab on the home page (links) and after the usual Sunday blog is posted Friday’s results will be published. Results from Monday and Wednesday will be available immediately after the finish of those competitions – no need to wait until Sunday! Click on the link (Results), club (not society), and type condado as your home club. Also added to links is handicap list which lists all members with current handicaps (updated automatically). Similarly there is a link for forthcoming events, which is the fixture list for the year. The last post (master scoreboard for members) illustrates some of the features. The next awayday has been planned for Monday May 22nd – it will be at Roda (by San Javier airport). A good deal and a good course at only 55€ inc. coach return, buggy, insurance and meal (burger & chips + pint, or pizza and pint). The ladies will again be delivered to the nearest shopping centre! Entries will be invited shortly with a maximum of 40 golfers. Last week there was a fire at El Valle – they have lost all their buggies and charging facilities. Let’s hope everything is back to normal soon. A summary of the AGM held last week will appear on the blog next week (maybe Tuesday). All members should be aware that it is their responsibility to repair pitch marks (their own plus maybe one other) and keep buggies to designated areas (out of the rough and away from sandy areas). This will help maintain our course in the best possible condition.